Which of these 8 would-be MLB contenders should surrender and sell? With less than two months until the nonwaiver trade deadline, a large group of would-be contenders are at a crossroads. No franchise wants to admit defeat in June, throw up the white flag and begin to auction off players. That’s especially true for perennial contenders and when the second wild card in each league offers (false?) hope for a postseason berth. But it’s the tough reality for these teams, all of which finished above .500 last season but are below the break-even point entering this weekend’s action. Is it time to sell? The offense is slumping, the rotation is starting to show some cracks, the bullpen can’t protect a lead and the defense remains shoddy. 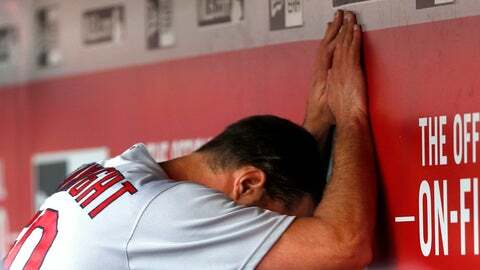 The result is a seven-game skid and a hot seat for Mike Matheny. However, St. Louis went on an 18-6 run that boosted it into first place three weeks ago. The Cardinals are only 4.5 games back in a weak NL Central and are talented enough to get hot again. Tyson Ross could provide a boost and Cole Hamels also is on the comeback trail, but it is a case of too little too late. 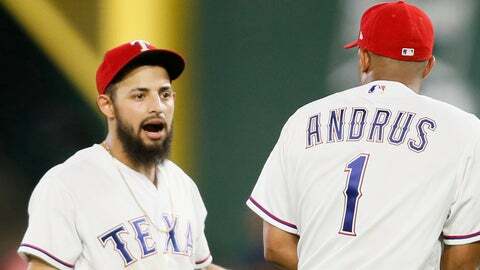 Texas seemingly has made its run, winning 11 of 12 games to climb over .500 in late May – only to lose 11 of its next 14 to fall 15 games behind the AL West-leading Astros and 4.5 games back in the AL wild-card race. Adrian Beltre is hurt again, and the bullpen still is springing leaks. Move along. Their 2-11 start is a distant memory and a soft patch in their schedule could boost them over .500 for the first time all season – meaning a third consecutive trip to the playoffs is a reality. Toronto is getting healthy with Josh Donaldson, Troy Tulowitzki and J.A. Happ back. With the big bats back in the lineup, though, another might be needed considering left fielder Ezequiel Carrera’s lack of production and right fielder Jose Bautista’s streakiness. Give them credit for attempting to make one more World Series run, but it’s been the same-old story of mediocrity for this veteran-heavy bunch. Good luck finding any takers for Francisco Rodriguez or Jordan Zimmermann, but Justin Verlander, Ian Kinsler ($12 million team option for next season) and Alex Avila would interest plenty of contenders. And pending free agent J.D. Martinez is almost certain to go. Their odd-year inconsistency has reared its ugly head again, burying them in the NL West and in the NL wild-card picture. So, don’t be fooled by their recent acquisition of Sam Dyson, who quickly went from closer to castoff with the Rangers this season. 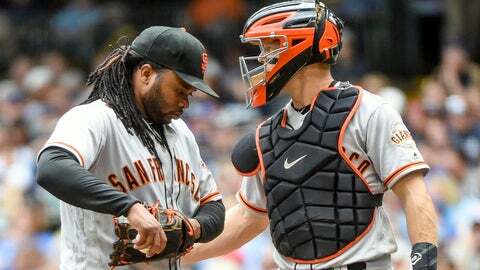 San Francisco has plenty of attractive trade chips, including Johnny Cueto, Jeff Samardzjia and Hunter Pence, though it could avoid any major deals and await the 2018 season, which will feature a healthy Madison Bumgarner. Considering that Felix Hernandez made five starts before landing on the DL, where he currently resides with rotation-mates Hisashi Iwakuma and Drew Smyly, and that James Paxton has made only eight starts, it’s borderline miraculous that Seattle is in this good of shape. 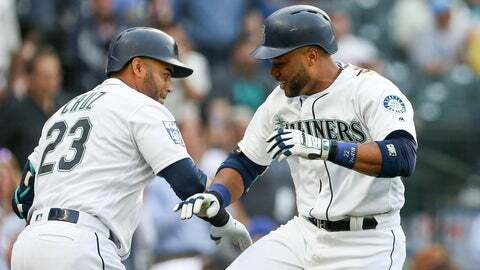 It doesn’t help that AL batting leader Jean Segura just went on the DL, but the Mariners’ resilience already has been proven. And given their 16-year postseason drought, the Mariners' front office can't possibly sell the fans on a sale. It’s time to face the painful truth: It isn’t happening in 2017. Kansas City has never been over .500 this season and hasn’t won more than two consecutive games in nearly a month. This core delivered back-to-back World Series appearances and the franchise’s first championship since 1985, but Eric Hosmer, Mike Moustakas, Lorenzo Cain and Alcides Escobar are in their walk years, and closer Kelvin Herrera and lefty Jason Vargas also will draw plenty of interest. It’s tough to imagine what else could go wrong (injured aces, underachieving veterans, naughty mascots, etc.) for the Mets this season, but give them a couple more weeks and they’ll think of something. Even with Yoenis Cespedes close to a return, New York’s hopes of making a third consecutive postseason appearance are kaput. 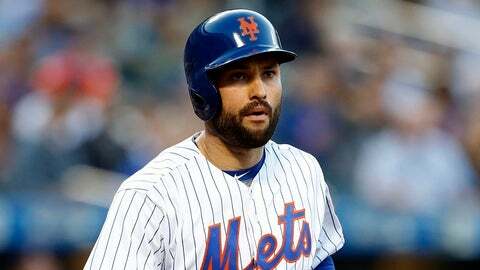 Neil Walker should top the Mets’ list of trade chips.